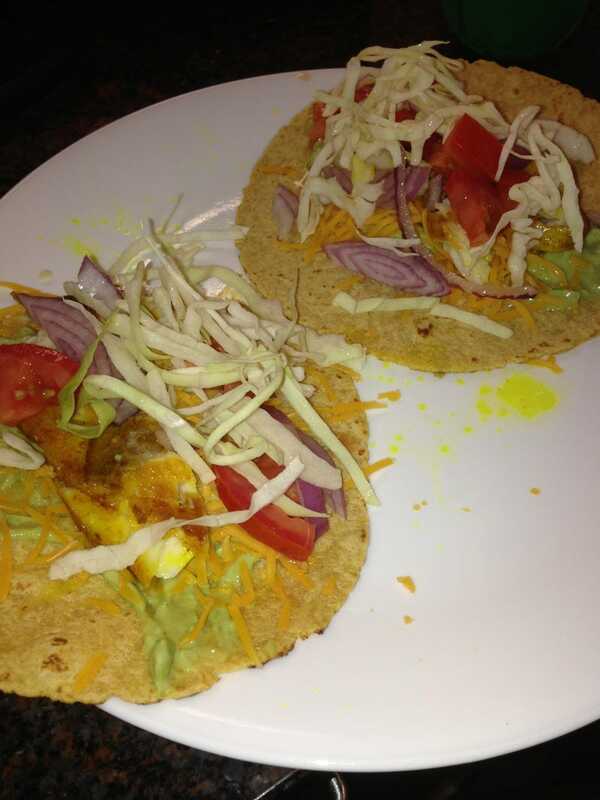 update: I et fish tacos BUMBLECAT! Thanks all for the lovely suggestions this morning. It's Trader Joe's corn and wheat tortillas, with an avocado-sour cream spread (1 avocado, 3 tablespoons TJ sour cream, and a pinch of ground cumin, cayenne, and rock salt), mild cheddar cheese, tilapia fried with turmeric and salt, diced Roma tomatoes, red onions, and green cabbage for the crunch, with a bit of lime on top. I am trying baingan bharta for the first time. That eggplant baked at 400 degrees for 1 hour. 1/2 cup dry masoor dal, 3/4 cup split yellow peas. But first I am going to go eat another one of these cupcakes!